Voltage regulation issue in the distribution network is considered as a challenge that is associated with high penetration of the distributed generations (DGs). The widespread of the DGs led to influence the operation of the reactive power compensation (RPC) devices and the on-load tap-changers (OLTCs) and significantly affected the voltage profile. Therefore, obtaining the suitable control settings for the OLTC and the RPC should be reconsidered considering the impact of the DGs. This paper proposes a strategy for coordinating the operation of the OLTC and the RPC with DGs in the distribution networks. The proposed coordination strategy obtains the optimal values of the active power generated from the DGs, the reactive power injected from the switched capacitors (SCs), and the tap settings of the OLTC by using the multi-objective particle swarm optimization (MOPSO). The objective function is to minimize the total active power losses for all lines and the total voltage deviation for all nodes in the distribution network. The proposed coordination strategy is tested on the modified IEEE 33-node test feeder and a practical distribution feeder extracted from the North Delta Electricity Distribution Company in Egypt. A MATLAB code is built in this paper for simulation of the case studies and for determining the optimal parameters. A comprehensive comparison between the proposed MOPSO and the mixed-integer linear programming (MILP) method for different operating conditions of the distribution network is made. 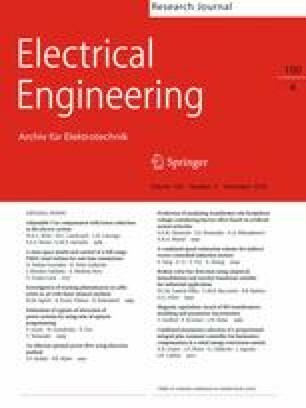 The results demonstrate that, the proposed strategy decreases the power losses, improves the voltage regulation and provides efficient coordination of DG with the voltage regulating devices; SCs and OLTC.